Tulane Project Direct provides a range of health promotion, prevention, and intervention services with a focus on social, emotional, and behavioral problems. 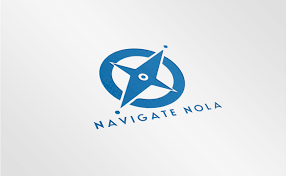 Navigate NOLA (SEW NOLA Project). The SEW (Social & Emotional Wellness) NOLA project is a 7-month long school based social and emotional learning program that seeks to address disparities that exist for low income minority youth, growing up in the post-disaster recovery environment of New Orleans. SEW NOLA provides school aged children with the following skills 1.) self-awareness, 2.) self-management, 3.) responsible decision-making, 4.) relationship skills and 5.) social awareness. The Children's Bureau of New Orleans promotes growth and resilience through prevention, advocacy, education, and intervention. They work to improve the quality of life for children and families in greater New Orleans through valid and proven programs that enhance and strengthen mental health and wellness. The New Orleans Speech & Hearing Center provides audiology and speech-language pathology services.